UK marketers must rethink their engagement strategy to move beyond the transactional experiences consumers currently anticipate, according to new research. The study, from Marketo’s global study, The State of Engagement, looks into how marketers are currently engaging consumers. Surveying edmore than 1,100 marketers in the US, UK, Germany and France and 1,000 consumers in the US and UK, the research shows a major gap between marketers’ perceptions of their performance and the reality of heightening consumer expectations for innovation and engagement. Key among the findings is that while 82 per cent of marketers believe they have a deep understanding of who they’re trying to reach and 48 per cent consider themselves to be extremely innovative in the way they engage their audiences, just 23 per cent of B2C consumers feel this is reflected in their experience. While this proportion improves to a third in the instance of B2B consumers, 67 per cent of all consumers surveyed agree engagements are still primarily transactional, highlighting enduring difficulties in generating customer loyalty. Despite the gap, marketers are prioritising the consumer experience with 90 per cent of UK marketers rating this as a very or extremely important area of investment. Motives are primarily to meet increasing customer demands (54 per cent) and retain existing customers (64 per cent). Interestingly, just 58 per cent of UK marketers stated retention as a key reason for current investment in engagement strategies, with 52 per cent more likely to invest to purely gain a competitive advantage (compared to 46 per cent in the US). Despite this, perceived performance against customer satisfaction in the UK (71 per cent) is higher than the US, France and Germany. Ultimately, half of consumers still think brands could do a better job of aligning with how consumers prefer to engage. Consumers agree it is most important for brands and vendors to provide a consistent experience regardless of the channel they are using to interact with them. 91 per cent of UK marketers believe they are effectively integrating consumer data across all touchpoints. However, this is primarily limited to integrating their website (59 per cent) and email (50 per cent) after which results all fall below 50 per cent across social media, mobile apps, sales and customer support. In fact, integration of social media in the UK (49 per cent) is significantly lower than integration in the US (62 per cent) and Germany (59 per cent). Journey mapping (40 per cent), machine learning (39 per cent), behaviour tracking (38 per cent) and adaptive campaigns (37 per cent) are the methods expected to experience the largest growth in usage over the next year. Marketers in Germany are also keenly focused on leveraging analytics to automate engagements. However, this represents a significant leap from monitoring social media (73 per cent) and personalising content (65 per cent) as the most used methods to engage consumers currently. When looking to offline campaigns, 53 per cent of UK marketers are using consumer events or conferences as part of the wider engagement strategy they are currently implementing. While many marketers now realise that successful consumer engagement requires the right tools and the ability to track the effectiveness of their efforts, satisfaction with current engagement tools is low, ranging from 49 per cent to 57 per cent. The findings from this report indicate there’s still much work to be done to deliver the experiences that consumers expect today. As the primary driver of the customer experience, marketers must champion their role in ensuring they deliver more authentic and personalised engagement across channels and at the scale required today. “The customer journey for most organisations is highly fractured and crosses websites, mobile apps, social channels, third-party apps – even brick and mortar properties. It’s the responsibility of the chief marketing officer to steward their journeys across all engagement channels, everywhere the customer is,” said Steele. 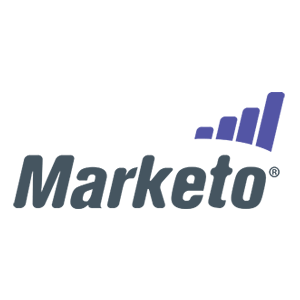 The State of Engagement report was commissioned by Marketo, in partnership with third-party independent research firm Illuminas. The results were collected from March to April 2017. Respondents included more than 1,100 marketers in the United States, United Kingdom, France, and Germany, and more than 1,000 consumers – both B2B and B2C – from the U.S. and U.K.